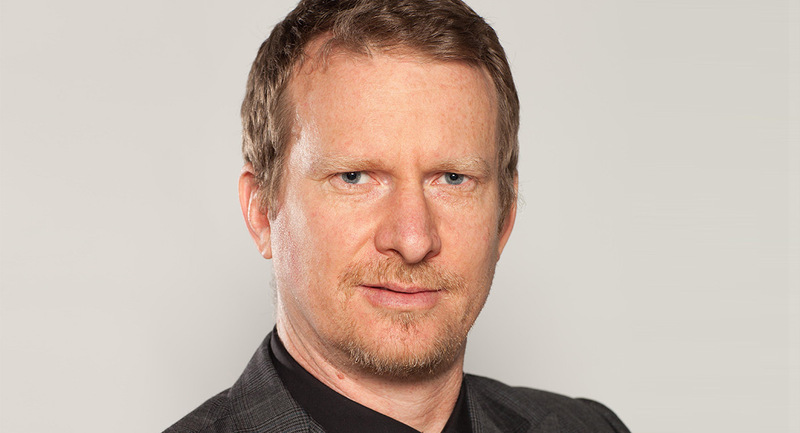 In our series of interviews with the controllers of what Australians get to watch on television, Mediaweek’s James Manning speaks to SBS director of TV and online content Marshall Heald. Is your 2018 strategy very different from previous years? Not really – we have been running a pretty consistent programming strategy for the past couple of years. We remain very focused on trying to have a very strong point of difference. With the launch of all the reality shows, we stick to what we are great at, which is having a really strong factual lineup at 7.30pm every night so that audiences have a clear alternative to reality TV. We offer a place to tune in for thought-provoking documentaries that help Australians understand the world in which they live. Without big commissions, we tend to try to avoid playing them in the first few weeks of the year when the big reality series are launching as they take a lot of viewers out of the market. As a much smaller broadcaster we tend to be a counter programmer. Things we are proud of that we have near the start of the year include Muslims Like Us and then Safe Harbour in March. We are always looking for tactical opportunities to get things to audiences, particularly as things start to settle down slightly. From Sunday through to Wednesday we like to offer a strong factual/documentary theme. Sundays we tend to showcase history, Monday tends to be more medical or health, Tuesday is the place for our current affairs flagships and Wednesday we program our big commissions around contemporary issues. Later in the week we tend to play more drama, usually starting on Wednesday or Thursday. Friday nights tend to be a bit of a mix while on Saturday there is sport. We realise our audiences like our content, but they also like watching other things as well. We are a counter programmer and always looking to put content in places where audiences will find them. We don’t compete with the other networks and it makes no sense to put big commissions head to head with the commercial networks. That doesn’t work for anyone. We are about finding the best opportunities for our shows, taking into account what is happening in the rest of the market. We have a lot of drama available on SBS On Demand and some of the later night slots for those shows work best. The previous summer we had Midnight Sun and then during 2017 we had Handmaid’s Tale. 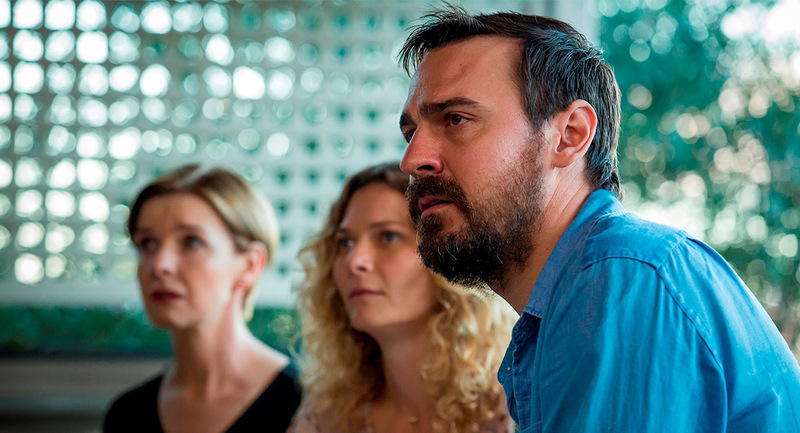 We had good audiences for some smaller titles this summer like Ride Upon The Storm, which helped us record a January audience that was our second-biggest ever for On Demand. Our strategy of using tentpole titles and then using them to grow audience interest in our broader offering is really working. Will your acquisitions annoy others networks this year? We have had a consistent editorial strategy for a long time. We always look for a point of difference and we always try to acquire programs with intelligence and insight. We want the best in world drama, the best in high-end documentaries. From time to time we will pick up something which no one really anticipates might be the kind of success it is. The Handmaid’s Tale was a huge success but, when we bought it, the show looked like it might have been a smaller series given it was fairly serious and covered gender politics issues. When a show like that does pop, other people tend to look at SBS and say they would have liked that. There is new Handmaid’s Tale in April and I would anticipate that being incredibly popular again this year. We also have a second season of The Good Fight coming along. It was important for us as it was about understanding diversity and it has the ability to reach wider audiences. And I am really excited about Safe Harbour, which has had an incredible international response and it has also been screening at the Berlin International Film festival. It is a beautiful series that speaks to our core purpose that is also very fresh and innovative. 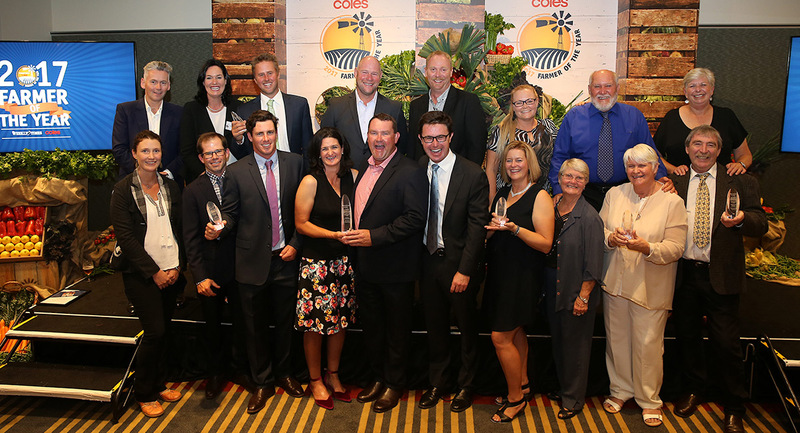 News Corp’s The Weekly Times and Coles have recognised the contribution of two Victorian farmers at their annual Farmer Of The Year awards. 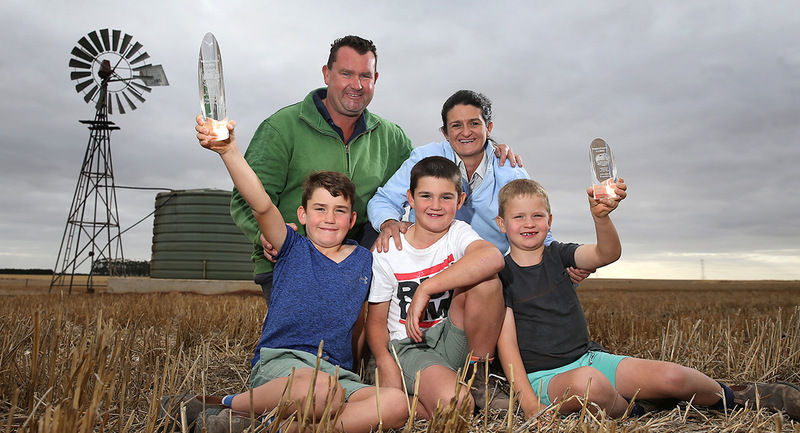 Matthew and Rachel Hinkley from Derrinallum (pictured above) were awarded a $10,000 prize for their cropping farming. The former agronomists grew the size of their operation by 400% in just 13 years, plus boosted their return on assets by 10% and lifted crop yields to rival the best in the nation. Since returning to the Western District in 2004 – where they have since grown their operation to 1,620 hectares of owned and leased land on which they grow wheat, canola and barley – the Hinkleys have invested heavily in farm machinery to improve efficiencies. The finalists and the winning couple will all be profiled in the special Farmer of the Year magazine inserted in tomorrow’s Weekly Times (Feb 28) and the Sunday Herald Sun, The Sunday Telegraph, Sunday Mail (SA), The Sunday Times and The Sunday Mail (Qld) on Sunday March 4. The Weekly Times editor Natalee Ward said: “The Weekly Times is proud to tell the stories of these farmers to our readers, to enrich connections between country and urban Australia. We want Australians everywhere to appreciate the effect farming has on all of our lives on a daily basis and to gain a better understanding that there is more to the business of farming than meets the eye. 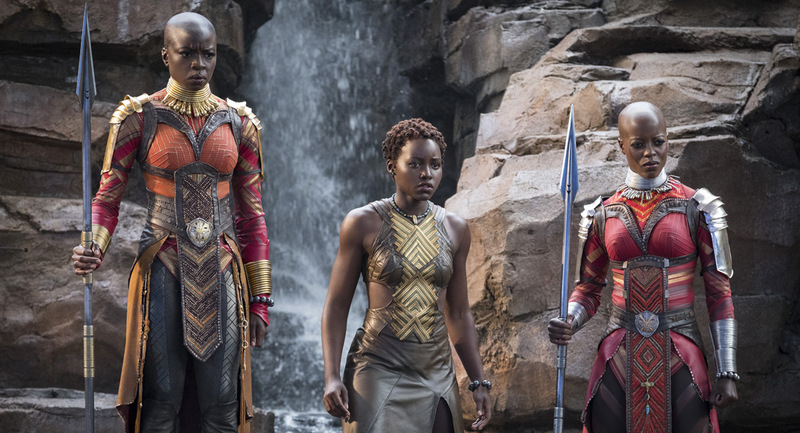 For a second weekend the movie world has all been about Black Panther, the groundbreaking Marvel Studios release that is predicted to pass the US$1b mark globally with speculation the movie could become the fourth highest-grossing superhero movie ever. After pushing weekend revenue up 43% two weeks ago, Black Panther was a clear leader last weekend too although total box office numbers dipped 13% to $16.31m. Takings dipped 29%. After accounting for over 50% of takings last weekend, Black Panther was just short of 50% of the take over the weekend. Screens showing the movie were down from 620 to 574. Screen average was down from 17,000 to $13,000. In just 11 days the movie has grossed $22.13m in Australia. The Jason Bateman and Rachel McAdams comedy mystery was the highest-ranked new release on the weekend with a screen average of $6,807 from 287 screens. After its third weekend the final of the three movies in the series is close to a total of $13m with a weekend screen average of $3,408 from its 339 screens. The comedy drama with a wonderful cast including Imelda Staunton, Timothy Spall, Celia Imrie and Joanna Lumley just made it over $1m from 268 screens with a screen average of $3,773. Still in the top five after a remarkable nine weekends, the movie is still on 238 screens and has just passed $30m. Outside the top 5: Jumanji: Welcome To The Jungle still resides in the top 20 at #14 with a total of $48.15m. It needs just over $1m to make the all-time top 10 list for Australia. Sitting at #10 at present is The Lord Of The Rings: The Return Of The King (2003) on $49.3m. Jumanji: Welcome To The Jungle is also now the second highest-grossing to be released in 2017, trailing only The Last Jedi, which did $58m, putting it #3 on the all-time list. The ACCC is calling for the views of consumers, media organisations, digital platforms, advertising agencies and advertisers after outlining the key issues it will be considering in its digital platforms inquiry. • Whether digital platforms have bargaining power in their dealings with media content creators, advertisers or consumers and the implications of that bargaining power. • Whether digital platforms have impacted media organisations’ ability to fund and produce quality news and journalistic content for Australians. • How technological change and digital platforms have changed the media and advertising services markets, and the way consumers access news. • How the use of algorithms affects the presentation of news for digital platform users. The inquiry by the chairman of the Australian Competition & Consumer Commission, Rod Sims, into digital platforms is a world first – a historic moment to shine a spotlight on how to recast the landscape to create a fairer playing field benefiting all Australians. 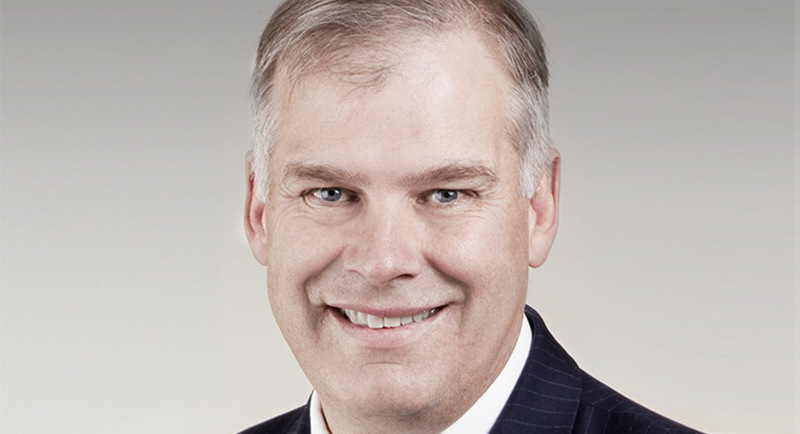 As Isentia Group released its first-half results on Monday, the company also announced the resignation of its managing director and CEO John Croll. Croll has given six months’ notice as the board undertakes a global search for his replacement. The move comes two and a half years after Isentia paid $48m for King Content. Two years later it announced it would close the business after it missed profit targets. Private equity investor Epiris has agreed to acquire Time Inc UK (TIUK), one of the UK’s largest consumer magazines and digital publishers, from Meredith Corporation. Financial terms of the transaction are not being disclosed, although there have been reports the deal was worth around £130m. TIUK’s 50-plus brands reach 17 million adults and 13 million online and digital users across the UK. The portfolio spans a range of interest areas, from entertainment and women’s lifestyle to luxury, sports and technology. Amongst its titles are Woman’s Weekly, Country Life, Ideal Home and Trusted Reviews, as well as specialist titles such as Decanter, Wallpaper, Cycling Weekly and Horse & Hound. 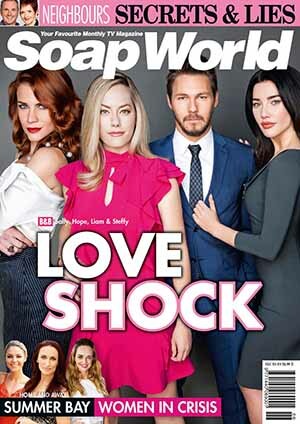 Entertainment titles, including What’s on TV and TV Times, sell more than a million copies each week. The company is led by CEO and PPA Chairman Marcus Rich, who joined TIUK in 2014 from DMG Media. Rich is also a former managing director of Emap Australia. Sir Bernard Gray, who is chairman of New Scientist and formerly non-executive director of Immediate Media, will become executive chairman. Dubai-based corporate PR company Jensen Matthews has signalled its intent to expand into the APAC region starting with Japan, South Korea, Singapore and Australia in Q3 and Q4 in 2018. The management team behind Jensen Matthews is planning to acquire four small-sized agencies within APAC region in order to diversify the solutions offering and for an easier brand integration on the targeted markets. Owner and founder Loredana Matei said the “APAC region was in our five-years expansion plan from the launching of Jensen Matthews in 2016. We experimented with having a local team in Hong Kong and Singapore and the results led us to the decision of steady expansion in 2018. The APAC market is diverse and competitive, and we are looking forward to serve startups, tech entrepreneurs and corporation from all industries. Matei can be contacted at contact@jensenmatthews.com. 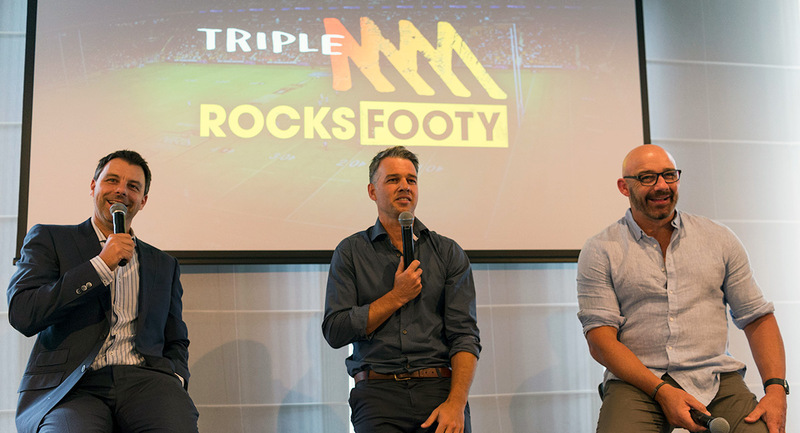 The new Triple M national drive show’s Week of Long Lunches kicked off Monday in Melbourne. 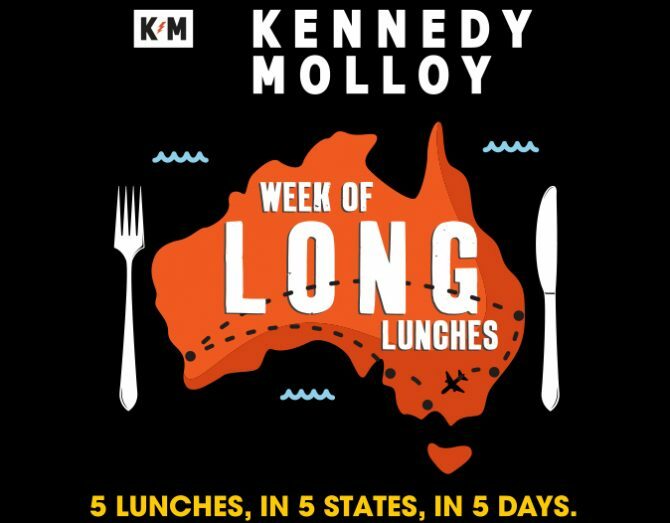 Drive show hosts Mick Molloy and Jane Kennedy have embarked on an ambitious schedule that will see them visit five metro capitals in five days – first having a lunch with listeners and advertisers and then hosting their drive show. The VB was flowing on day one as the duo attended the Melbourne lunch and then returned to their SCA studios for their first show of the week. After the show, Molloy and Kennedy then headed for the airport (via Molloy’s home as he hadn’t packed) and boarded a flight for Brisbane where they will be entertaining guests today. 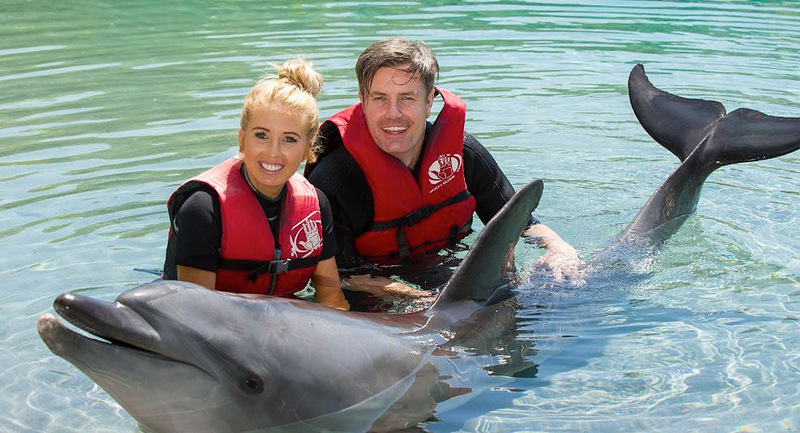 The surprise guest on day one of the trip was the program’s anchor Dangerous Dave. The Triple M anchor was subjected to a number of questions when a question and answer session was opened. 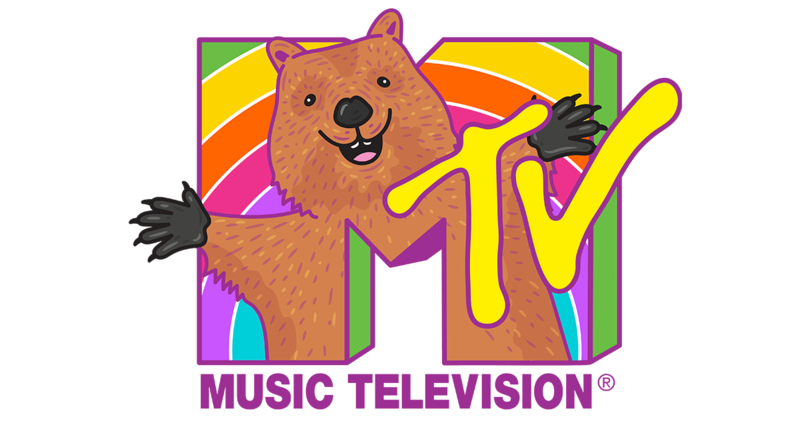 MTV is spreading Aussie pride during Pride Week with a new logo featuring the very cheerful Quentin the Quokka. One of the most-photographed animals in Australia, Quentin will pop up on MTV socials throughout the week to spread some trademark quokka happiness. MTV Dance (Foxtel Channel 804/Fetch Channel 141) becomes MTV Pride with curated playlists, bespoke countdowns and artist specials. Expect to see banging playlists like 90s Pride Anthems, LGBTIQ Icons and Mardi Gras Warm Ups. AAMI Insurance is a supporter of MTV Pride programming, getting behind on-air content including hosted music blocks featuring Courtney Act and Alaska Thunderfuck as well as a majority of dedicated onscreen videos. MTV.com.au is hosting a dedicated MTV Pride Hub for the month featuring exclusive video and editorial content including Alan Tsibulya’s guide of what not to say to someone when they come out, common gay lingo debunked and the ultimate Cher-inspired Mardi Gras tutorial. Visit the MTV Pride Hub here. 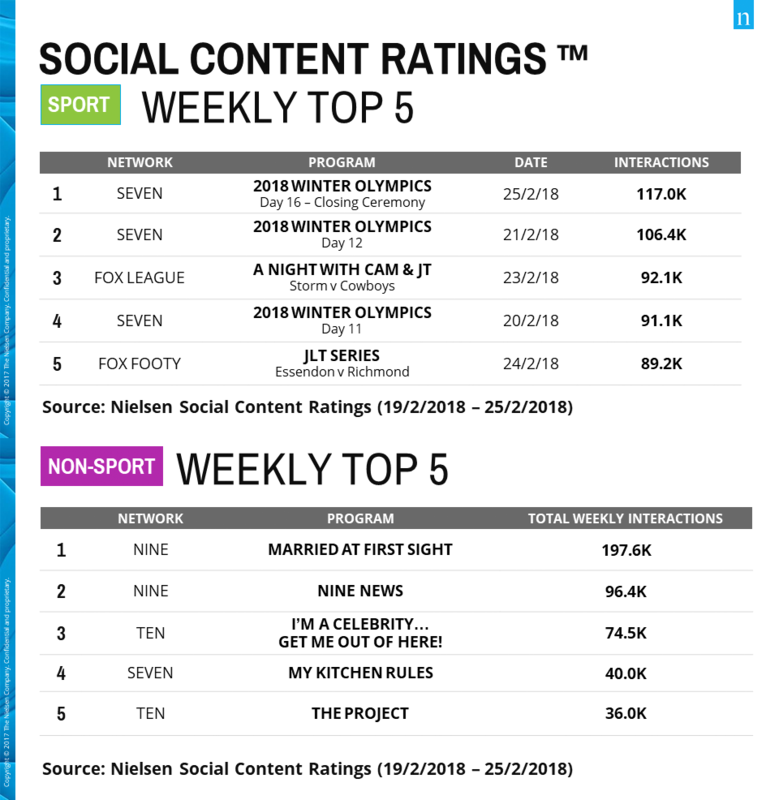 Three different nights of Seven’s coverage of the Winter Olympics appears in the top five on the sport chart this week. The impending arrival of the football seasons filled out the top five with a spot for Fox Sport’s coverage of the Storm v Cowboys tribute match last Friday and the JLT series match between Essendon and Richmond on Fox Footy on Saturday. On the non-sport chart, Nine’s Married At First Sight is way, way ahead of its reality TV competition. TEN’s I’m A Celebrity was the next-best reality format, while Seven’s My Kitchen Rules number indicates it is not in the same league as its competitors when it comes to social engagement. What did Ben Fordham say on Today that triggered Michael Wolff walkout? The author of the explosive new Donald Trump biography “Fire And Fury” has taken his cue from the title and stormed out of an Australian breakfast TV interview, reports news.com.au’s Bronte Coy. Appearing in an interview with Ben Fordham on Today, Michael Wolff – crossing from London – was grilled on a range of topics relating to the US president, from gun control to North Korea. But it was when talk turned to Trump’s alleged infidelities that it all went south. “You said during a TV interview last month that you are absolutely sure that Donald Trump is currently having an affair, while president, behind the back of the First Lady. I repeat, you said you were absolutely sure,” asked Fordham, who was filling in for Karl Stefanovic. Everyone will have their favourites, but here’s a word of caution: be careful what you wish for. Reviving a favourite show is risky – get it wrong and it can ruin the very thing you loved. 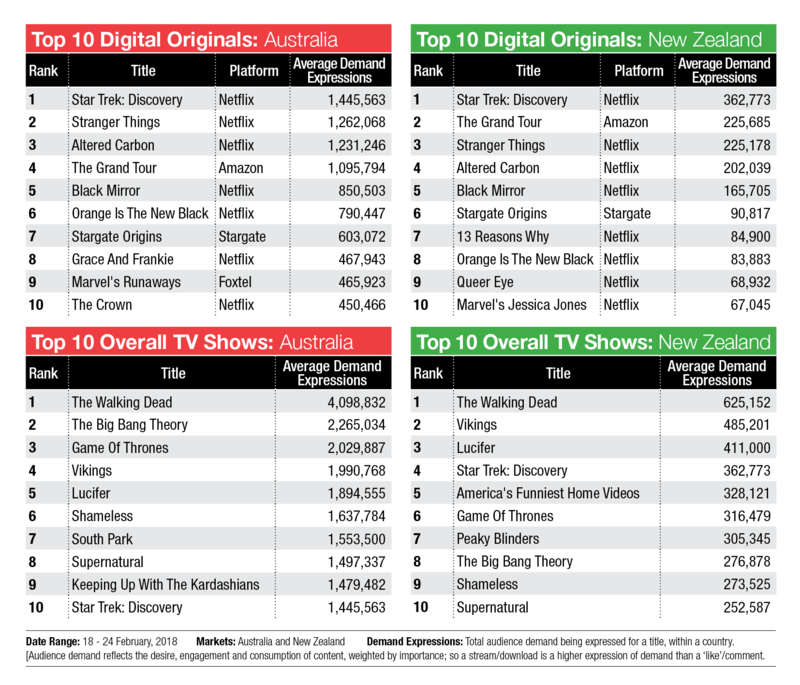 The most exciting new arrival this week is the appearance of Stargate Origins on the Digital Originals chart in Australia. The series is a prequel to the Stargate franchise from MGM, which includes a numbers of series and a movie. It is perhaps best-known in Australia for the TV series Stargate SG-1, which used to screen on Seven. Stargate Origins is a short-form series made up on 10 episodes running for just 10 minutes each. The shows can be watched via an app and require a subscription payment, which gives access to the Stargate universe. 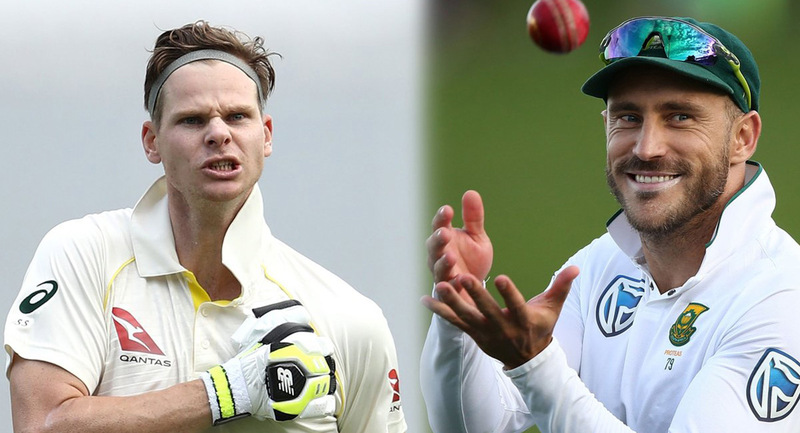 1116 SEN is to cover the four-test series between Australia and South Africa following a broadcast rights deal secured by Crocmedia with Cricket South Africa. 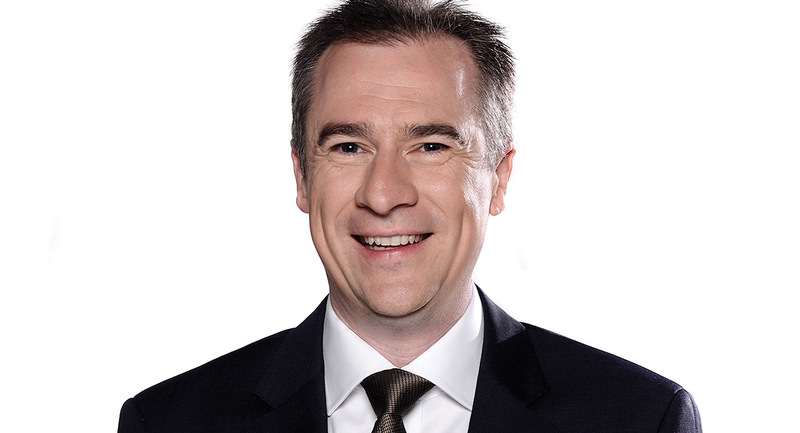 The station’s chief broadcaster Gerard Whateley will be on the ground in South Africa to lead the coverage and is excited to see Australia take on the might of the second-ranked test nation. Former Test batter Simon Katich will join Whateley in commentary to provide expert insight, working alongside former Australian cricketer Brendon Julian. SEN’s evenings host Jack Heverin will also be a part of the team. The first of the four tests will be played at Durban’s Kingsmead Cricket Ground from this Thursday March 1 with SEN coverage commencing from 6.30pm (AEDT). The coverage produced by Crocmedia in conjunction with SEN will also be heard via the 1116 SEN app. Gerard Whateley will continue to broadcast his SEN morning show – Whateley – live from South Africa 9am-10am (AEDT) each weekday.